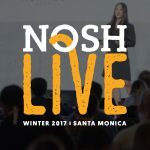 ICYMI: This gallery showcases some of the most impactful moments from NOSH Live Winter 2017. 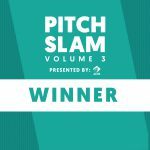 During his presentation at NOSH Live Winter in Santa Monica, California, earlier this month, Adnan Durrani spoke about his experience building the Halal-focused food brand and what he learned from working with investors. 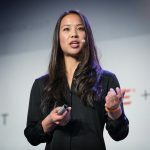 After the NOSH Live conference last Thursday, a group of budding food entrepreneurs reconvened on Friday for a set of more intimate informational sessions on how to further build their businesses. A key session of the day was a deeper look at team building and best practices for hiring during periods of rapid growth. 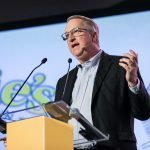 Some turn to coffee for an afternoon pick me up, but NOSH Live attendees re-energized with inspiring insights and advice during last week’s event. 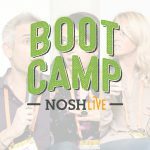 Here are a few highlights from the afternoon sessions at NOSH Live Summer 2017. 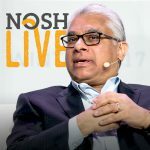 NOSH Live Winter 2017 attendees were hungry for industry insights on Thursday morning, but they definitely got their fill before the day was through — arguably, even before lunch.